We are pleased to welcome the progressive suburb of the greater Charlotte area, the City of Monroe, NC, to the CityView family. As an existing Bluebeam customer, Monroe was looking for the most flexible system available that included a “true” integration with Bluebeam. Bluebeam is an award-winning PDF creation, markup, editing and collaboration solution that is fully integrated with CityView’s Electronic Plans Review (EPR). CityView is a Bluebeam gold partner and reseller. Monroe’s knowledge of how well the CityView Portal operates for Chatham County, NC contributed to the City’s selection process, as one of its goals is to improve services for citizens, businesses, and contractors. Aligned with that goal is the City’s selection of CityView Mobile for permit and code enforcement inspections, providing staff with the necessary tools to record their inspections in real time from their smartphones or tablets, directly from the field. Monroe will also be implementing CityView’s Microsoft Outlook and Word Add-In tools in order to enhance productivity among multiple departments. In addition, the City will be using the standard CItyView Suite of solutions that includes Property Information, Permits & Inspections, Planning, Code Enforcement, and Cashiering. Monroe is the county seat of Union County, NC and is within the rapidly growing metropolitan area that includes Charlotte, Gastonia and Rock Hill. 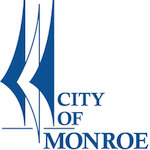 Monroe has a population of more than 32,000. The City is currently undergoing a massive downtown revitalization project, the goal of which is to offer a varied mix of retail and service businesses in order to provide residents and visitors with a distinct cultural experience.